In 1956, RMJM set out a vision to revolutionize the architecture industry. Over the next 60 years RMJM has evolved into one of the world’s largest architecture firms with over 30 studios across the globe. To celebrate our 60th anniversary, we’re inviting you to design a commemorative image that captures the spirit of RMJM. To enter, simply follow us on Instagram and upload your design along with the hashtag #RMJM60. The commemorative image can be a collage, sketch, painting, digital or graphic. The original image needs to be either 420mm x 420mm or 420mm x 594mm (A4). It can capture one RMJM building or several, or it could be something completely different. There are no restrictions! The winner, picked by RMJM, will receive a £500 cash prize and have their design featured in 30 RMJM studios around the world! For inspiration, why not take a look at our portfolio. From the Capital Gate in Dubai to the Falkirk Wheel in Scotland, we want to see how you illustrate the spirit of RMJM. 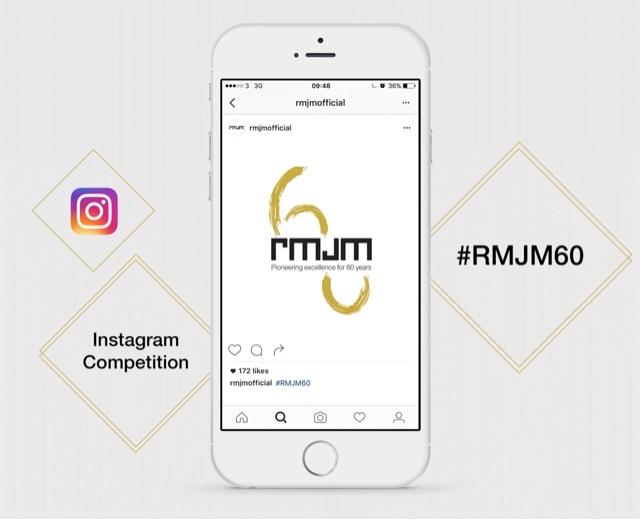 The #RMJM60 Instagram competition begins on Wednesday 27th July and ends on September 27th 2016 at 12pm GMT. We’ll announce a winner the following week. Full terms and conditions can be found here. Founded by Sir Robert Matthew and Stirrat Johnson-Marshall in 1956, RMJM is one of the largest most geographically and culturally diverse architecture firms in the world, with studios across five continents and more than 2500 architects who collectively represent 56 nationalities and speak more than 40 languages. At RMJM, we believe we must build a strong and lasting presence in each market in which we work in order to consistently redefine international architecture. As we approach our 60th anniversary, we continue to strive towards a new standard of design, infused with our determination to deliver international standards informed by local knowledge. Given our extensive experience, it is no surprise that RMJM boasts one of the most diverse international portfolios of built work in the global architecture industry today. Whilst our geographical presence allows us to design projects across multiple continents, the strength and depth of our design expertise allow us to demonstrate a capability in every project type. The RMJM Group is a family of architecture studios. We share knowledge, expertise, and design talent, we work together to solve design problems and we are focused on consistently adding world class projects to an ever-expanding portfolio. We are RMJM.